A two-year investigation by an Ohio sheriff’s office found that a licensed instructor who has offered “fast track” training classes for gun certificates had issued 170 certificates to people who had received improper training. They have now been rescinded. The certificates were used to obtain concealed carry weapons (CCW) licenses and were delivered to people all over the United States, the investigation found. The Lake County Sheriff’s Office found that gun owners were not taught how to handle, clean or transport their firearms, and hadn’t even visited a gun range. “The agency has seen some cases in the past of instructors trying to cut corners, but nothing that got this blatant,” Lake County Captain Ron Walters told The News-Herald, Ohio. Walters said the licensees have all been notified that their certificates are invalid and they will have to retake the training classes. He said the licensed instructor, who has not been named or charged yet, has been suspended. The sheriff’s office started the investigation after getting a tip about the classes. 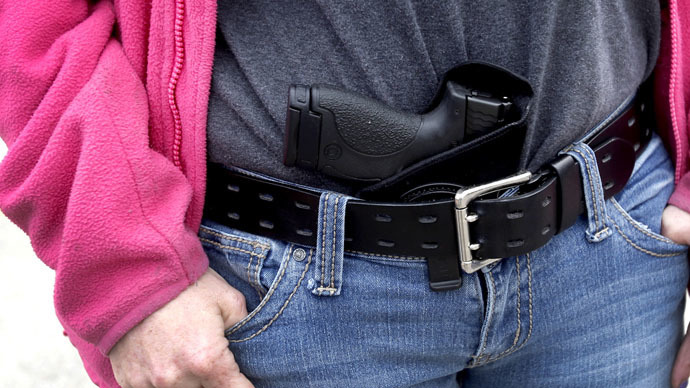 Walters said residents can call their local CCW office to learn what the education requirements are if they are unsure of whether their instructors are giving the proper education. The results of the investigation have been handed off to the Lake County Prosecutor’s Office, which will determine whether charges will be filed against the instructor. The prosecutor’s office will also determine if any of the students committed wrongdoing and knowingly sought out a class that did not provide the required education and training. CCW licenses in Ohio had been increasing for a few years but, according to numbers compiled and published by the Ohio Attorney General’s Office, there was a decline in 2014, with 58,066 new licenses issues and 110,212 licenses total, including renewals. In 2012, county sheriff’s offices in Ohio issued 64,650 new licenses, a record level. In 2013, the number jumped again to 96,972. Coupled with renewed licenses, the totals for 2012 and 2013 were 76,810 and 145,342, respectively.